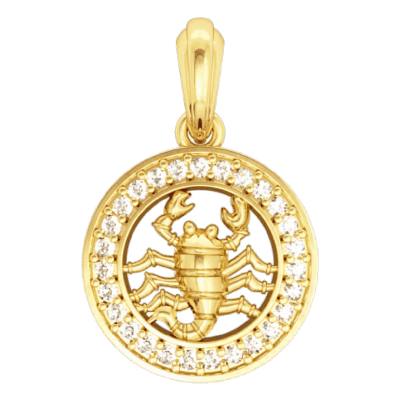 Jewelslane presents an amazing collection of beautiful zodiac jewellery crafted in silver and gold with certified diamonds. 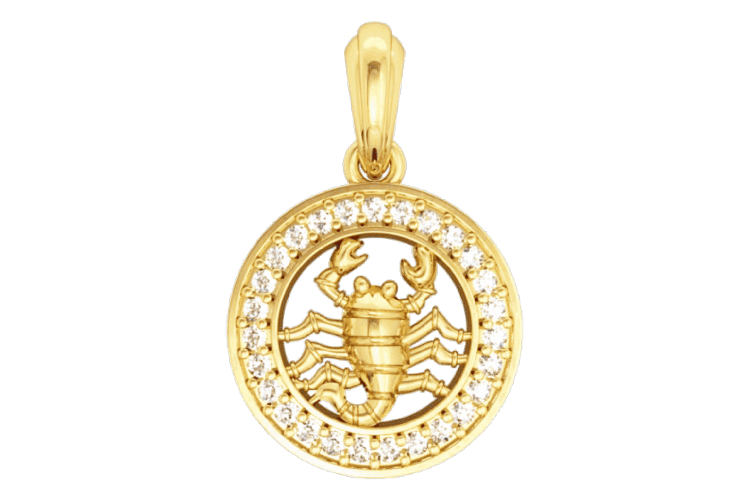 This elegant Scorpio Zodiac bracelet is crafted beautifully in 14 kt hallmarked gold with certified twenty-seven round brilliant cut sparkling diamonds encircling the embossed scorpion. The zodiac of Scorpio depicts a lot of personality traits. They are intensely passionate, attractive and tasteful. 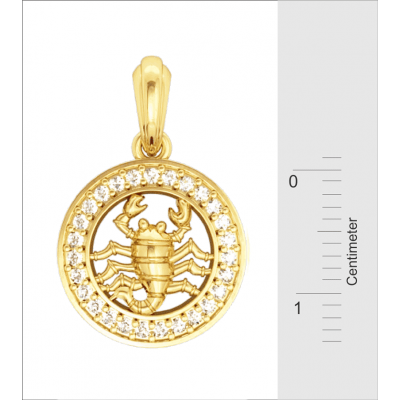 Gift this charm pendant to your friends who strongly believe in astrology. 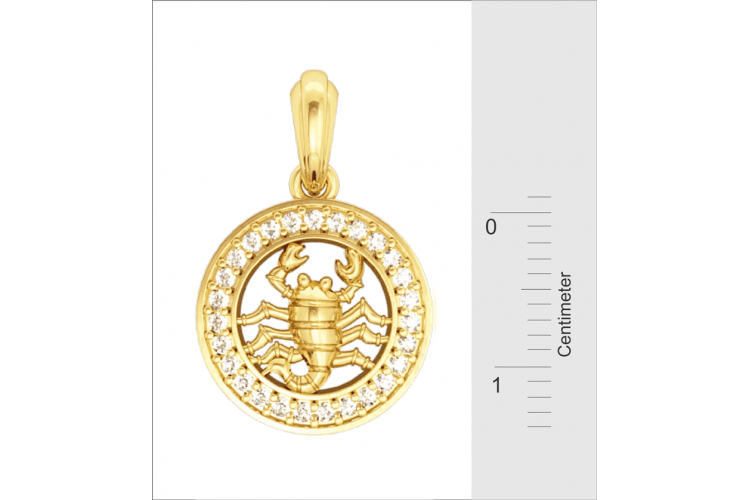 Or Just add a dazzling gold chain to this charm and make the perfect chain pendant set for daily wear and gift purpose.